Over the past five months, since the Mike Brown shooting in Ferguson, Missouri, most of our news has been rather depressing and quite negative. Some of my most recent posts have been of that nature because of what has been happening in the real world. But let me share with you a positive story that will occur this weekend at the Zora Neale Hurston Festival of the Arts and Humanities, in historic Eatonville, Florida. This small but quaint city, just north of Orlando, is the oldest chartered Black city in the country, and is where the great cultural icon wrote her most recognized work, Their Eyes Were Watching God. Over the past six months, I have worked closely with N.Y. Nathiri, Executive Director of the Festival, to organize a two-day creative writing workshop for youth from across the country. For three years I have conducted a brief introduction to creative writing for the local high school students, attending the Friday Education Day at the Festival. However, this year we decided to expand the workshop and make it a two-day writing seminar, for young people not confined to the Orlando area. 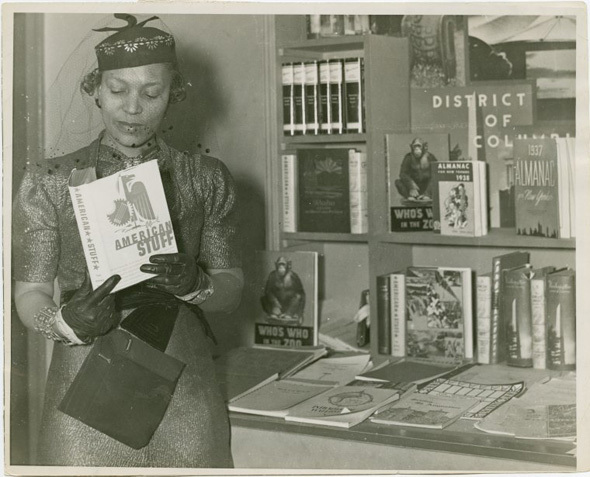 Initially, I wasn’t sure I would be able to pull it off but recognizing the power of the name Zora Neale Hurston, and the opportunity for youth to participate in the festival, not only as writers but also as visitors to the entire event, I thought I had a shot. Now as we prepare to meet in Eatonville on Thursday evening and begin our workshop Friday morning, I can honestly write mission accomplished. I am thoroughly proud of these young people and of the sponsors who will attend the festival and workshop with them. I am proud of my fellow associates who will assist in teaching the workshop. Petra Lewis from New York, Tony Lindsay from Chicago, D. L. Grant, Branch Manager of the Carver Library in San Antonio, and kYmberly Keeton, Academic Librarian/Assistant Professor at Lincoln University’s Inman E. Page Library in Jefferson City, Missouri (kYmberly will not actually attend the workshop, but is preparing a reference guide on all the works written by Zora Neale Hurston as a research tool). Once these writers return home, they will continue to work on the short story they conceptualized and began at the workshop. We will periodically meet through electronic media, and it is my goal for all of them to finish their stories by June 2015. Prosperity Publications will edit the stories and publish them as an anthology in the fall. Next year we plan to expand the number of cities and young people who participate, and in the years after, many more until we begin to make an impact in the literary community of this country. You have to know that I have this crazy notion, that my Black brothers and sisters are not happy with the direction of our culture and want to turn it around. We now have identified parents and the chaperones, as well as the schools and organizations supporting this effort. This will work because those of us involved are driven by the passion for the written word, and a commitment to save our children from the ever-increasing negative influences they face, on a daily basis in their lives. We believe they deserve better and we plan to make that happen. After learning of your work with young writers, I hope you are interested in my plans to have a workshop in Dallas. The idea was sparked from a panel at last year’s Texas Library Association conference..in of all places San Antonio. After a career in Chicago as Library Director and VP of MultiMedia Resources at Johnson Publishing Company, I have relocated to my home state and joined the Dallas Public Library as a Branch Manager. It’s great to see two students from this area will benefit from your workshop. I look forward to reading about your success at the Festival and hope to hear from you…..should have been there by now but certainly plan to visit Eatonville !!! I would like to introduce you to Author Ebony Aiken she is a 17 year old High School Senior at Saint Mary’s Hall in San Antonio, she recently published an inspiring work of fiction entitled A Ray of Hope now on Amazon and Available at Barnes and Noble. Her book was released on January 21, 2015 and since her release she has sold over 1,000 copies and gaining momentum. She would love to be invited to your seminar in Dallas for young writers.